Tired of changing collets on your rotary tool every time you change the bit? If you are, then you'll love our keyless 3-jaw chuck. 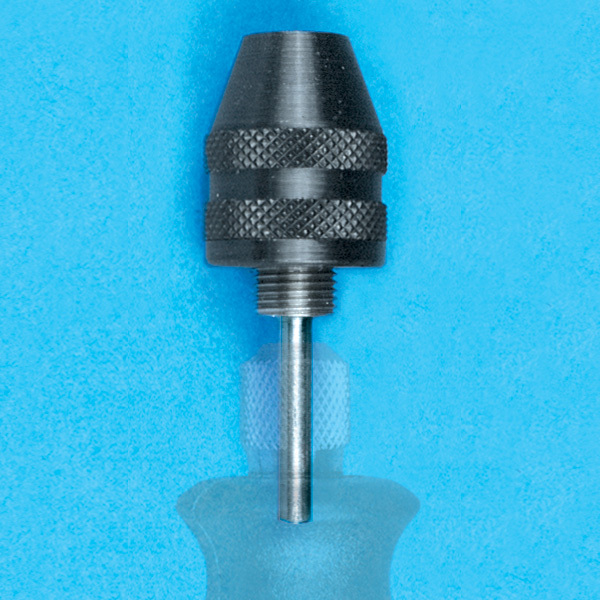 Includes special adapter with 1/8 inch shank that fits into any rotary tool's 1/8 inch collet. Holds drill bits and all accessories from 1/64 inch to 1/8 inch. Recommended for speeds up to 10,000 rpm.